The exploration game allows users to travel to the new world and make a fortune by collecting resources and crafting a variety of items. 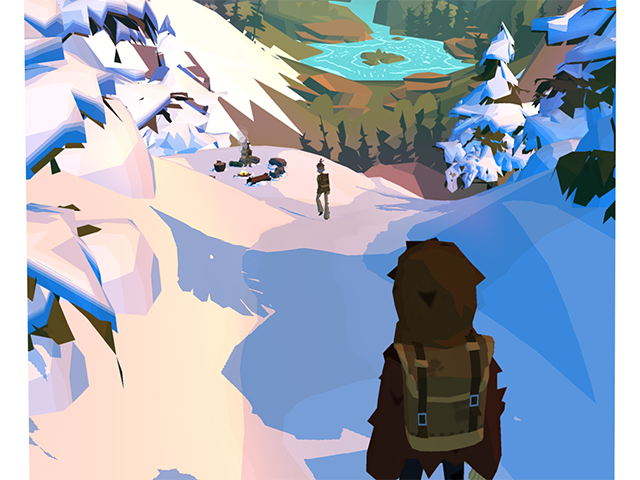 Publisher Kongregate and game developer 22cans (founded by game industry veteran Peter Molyneux) announced the release of The Trail on iOS and Android. The exploration game allows users to travel to the new world and make a fortune by collecting resources and crafting a variety of items. In The Trail, users will begin by walking along a trail in the forest on the way to a town called Eden Falls. Users can swipe up and down to make their characters walk faster or slower along the trail. Players can find and collect a variety of resources as they walk, and they can store these items in their backpacks, so long as their backpacks aren’t full. As players walk along the trail, their characters will lose energy. Players can stop at campsites along the path to regain their energy, and they can also collect food items while they walk, which they can use to restore their energy between campsites. Early on in the game, players will meet Beatrice, who will give them quests to complete over time. For instance, one quest may ask players to collect 13 seashells while they’re walking. When players have collected the required resources, Beatrice will give them a crafting recipe for an item. Users can craft the item by collecting the necessary resources. Depending on the item, the item may increase the player’s stats or allow them to complete a new action along the trail. As examples, a pair of moccasins can increase the player’s maximum running speed, while an ax allows players to chop down short trees to collect logs, and so on. As users craft better items or collect unnecessary resources, they can sell their old or unwanted items to other players at campsites to free up room in their backpacks and collect Chits, the game’s currency. Users can also buy items from other players at campsites. Eventually, players will be able to settle and build towns. Players will also be able to own homes and purchase furniture items for their homes. The Trail has been an exciting project for me. It allowed me to get back to my roots as a game designer and put my passion for creating transformative play experiences into this unique and engaging game for today’s mobile audiences. My hope is that whether they have five minutes or five hours to play The Trail, they continue thinking about their journey long after the game screen has been closed. The Trail is available to download for free on the iTunes App Store and Google Play.